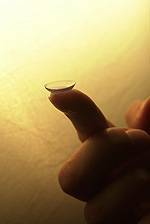 Custom-made lenses for the hard-to-fit prescription. Busy schedules shouldn't lead to noncompliance. Learn more about this FREE service for contact lens wearers.